The people who built this thing are geniuses! They even thought to put changeable light colors on it! 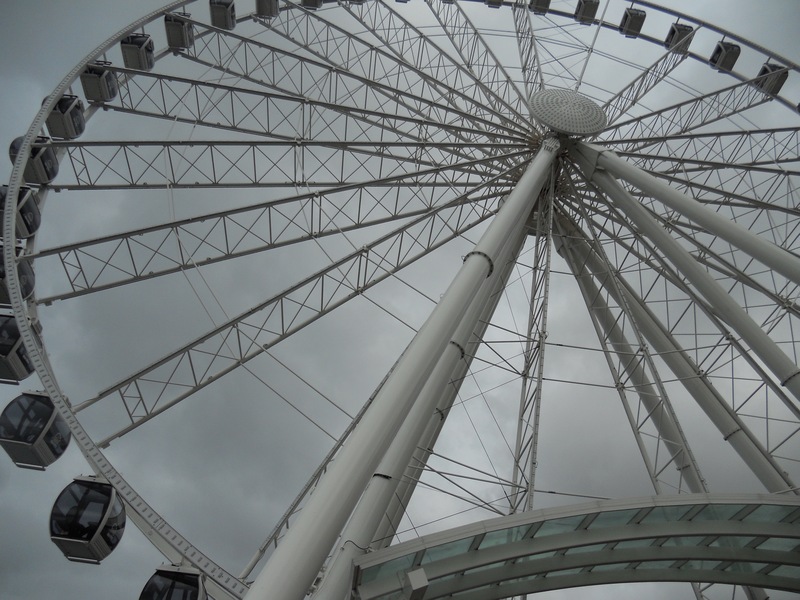 The Wheel is our new Seattle symbol, or we can think of it as a toy built for the amusement of the Space Needle. The toy for the Space Needle idea is excellent. My nephew’s wedding was at the Four Seasons last year, and we stood out in front watching the lit-up Wheel for a while. Thanks for your comment. Wonderful perspective and composition on this one! Why, thank you, Tina! Your comment is much appreciated.